Blogger users prefer to choose posts for the majority of their site’s content. 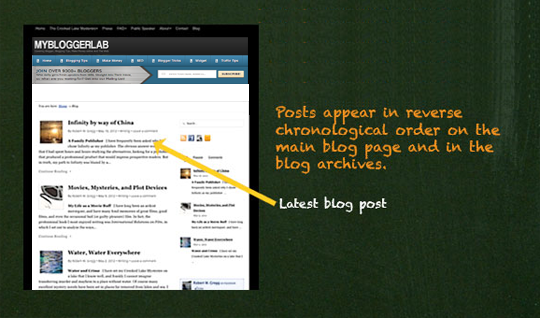 Posts are like content entries that display your site's content on the basis of publishing timing. Older posts are archived on the basis of months and years. When the posts get older, users have to dig the site to reach them. 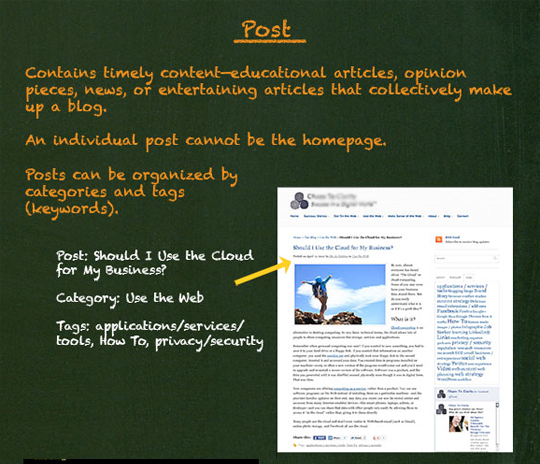 Nonetheless, there is an option called “Labels” that enables you to categorize your posts in a systematic manner. Posts encourage discussion. By default, they have commenting feature that allows users to engage, and comment on a certain topic. However, you can disable this feature by turning OFF the commenting option through settings. Pages do not support Social buttons, nor any additional gadgets like comments because you probably don’t want to see your users commenting on either pricy policy or etc. Unlike WordPress, blogger pages are not supported hierarchical so, this is a significant lack in the platform. In pages, we can easily change their order. It allows us to customize the order of pages by drag and drop. The only draw-back we have is that blogger supports only 20 pages. It means on one blog you can create only 20 pages. 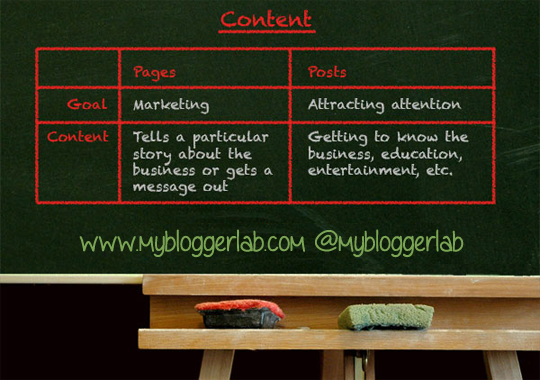 Following are the list of few differences that we found in the both content entries. The differences are not that significant in terms of numbers, but yet they surely need some attention. Posts are unlimited vs. Pages are NOT. Posts are timely vs. Pages has no expiry. Posts are Social friendly vs. Pages are NOT. Posts has categorize vs. Pages do not have them. Posts are acceptable in RSS vs. Pages are NOT. 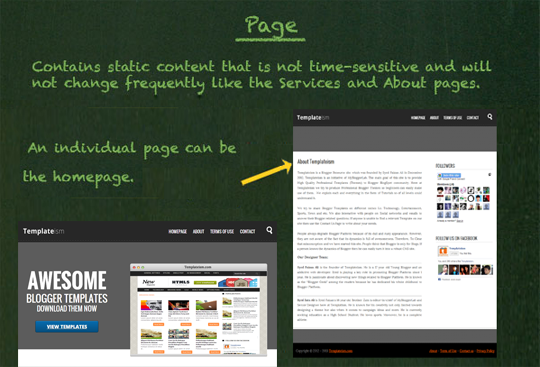 One Post cannot act as homepage vs. One Page can become a homepage. Which one of two is Good For SEO? People frequently ask, are there any SEO advantage while using one or the other? Search engines always love content. However, it always prefers timely the content, one which is recent and has all the accurate information about the topic. In short, there is no need to worry about it because as a newbie try focusing on your content. 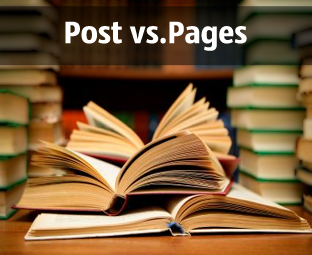 What is the purpose of Posts & Pages? Pages are meant for marketing and promoting your stuff, like selling different kinds of products through affiliate marketing, etc. It holds that information which mainly concern regarding a particular story about a business, news, personal updates, etc. On the other hand, Posts are the key to attract attention of others. This is usually used for daily article writing. nicely explained brother, you are good in explaining and also your presentation is good. keep it up. Cool Post ..... The info graphic like pictures made my day .. Thanks for such an informative post. Is it possible to convert a page into post by retaining its url as it is. Both have different structures. So they cannot have same URLs. Hope that answers your question. Thanks For Such an information post .. Also Well Explained .. I understand the difference, but the only option is to create a blog first, not a page. Go to Blogger >> Setting >> Post and Comments >> Post on Homepage >> Set it to 0 >> Save. Ditto... always wondered what the difference was. Now I have a couple of posts to convert to pages! How do you convert a page to a post? I am afraid , you are mistaken here. Actually there is not limit of number of pages per blog. Thank you for explaining the difference very well.